Last night was the first debate for presidential candidates, and while both campaigns had strategies for advertising what should be considered a win, lose or draw for each candidate, I think the common consensus, is there was a clear winner and a clear lose. Who sets these messages and makes these determinisms? The mainstream media of course. I know that the media gets a bad rap, and with good reason in many regards. However, we as a country have ceded authority to the media to set our conversational agenda and given them the right to determine a winner or a loser for each of our candidates debates. This willful abdication of the enforcement of the Fourth Estate says more about the state of ourselves than we could desire. It is not a pleasant thought knowing that we as a country have let the media go from a watchdog designed to keep the government in check to an organization that is designed to provide us with little substantial data about current events. So, bash the media for their results if you must, but know that we all bear responsibility for the results that they produce. 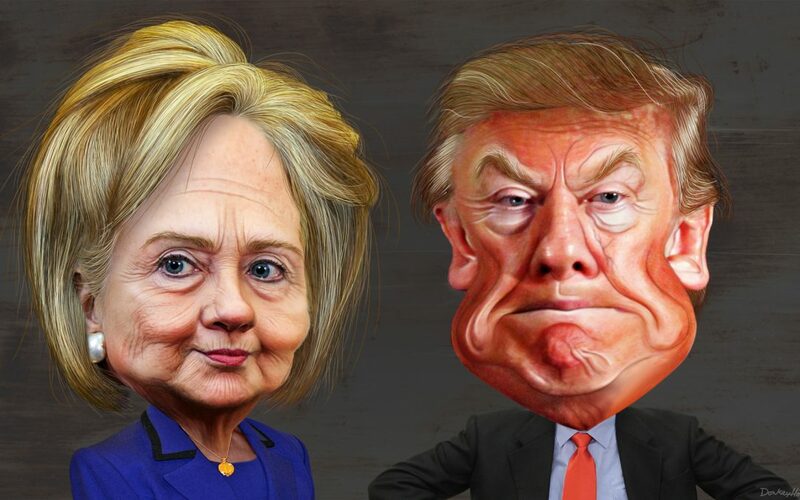 Now, Mr. Trump and Mrs. Clinton took the stage last night at 9PM EST, and the debate started out as a conflict of one party’s policy goals versus the common platitudes of another’s. Mr. Trump may not have drawn first blood, but he certainly came out stronger with a series of attacks on the long history of Mrs. Clinton’s in politics and his business savvy in dealing with foreign enterprises and recurring new funding. While these were his strongest arguments, the rest of his time on the clock was spent dabbling in the dark arts of verbal diarrhea and platitudes with no real substance. I am sure that to his fans these soundbites sounded fantastic, but they lack th substance that one expects from a policy debate. Who here is familiar with what a debate is? In this mode, and in many modes of debate, there is a state that is stated to be proven or refuted. Or a question to be answered. Or a resolution to be made or countered. This format allowed for three very general topic areas, with the Moderator, Lester Holt providing specific questions to be answered. If anything, this more closely resembled a cross-fire type debate, as will the third one. Why is this important for you to know? As a collegiate debater who was very successful, 4 national championship wins, I can confidently say that Mrs. Clinton was everything she needed to be. She was confident, poised; refused to get flustered and managed to riposte with a couple very well pointed jabs designed to wind Mr. Trump. Scoring this debate like a boxing match, Mrs. Clinton landed more than she received and did a great job parrying the verbose and antagonistic attacks of Mr. Trump. There were entire periods where Mr. Trump would blurt out “Wrong” while Mrs. Clinton was speaking, and the fact checkers have had a great deal to say about his denials of reality. CNN produced their results here. The New York Times produced theirs here. Factcheck.org has their results here. Now, it is your prerogative to deny these reported facts for either individual as you desire. It would seem to be folly, as these are recorded instances that have been checked against, but as Mrs. Clinton put it in similar terms last night, you are entitled to your own views however silly they may be. So what is Mr. Trump’s biggest problem? I would argue that affirmed is Mr. Trump’s biggest problem. He spent minutes last night refuting different claims event though they have been proven to be wrong/correct (depending on the situation). This willful blindness in relation to the admittance of when one is wrong, and concerning an individual who has the ability to effect the lives of millions of others through his personal actions, is the very definition of ofermod as designated through The Battle of Malden. But if you think it is proper to stare blatantly at an untruth and insist the opposite is true, then you need not read further, and I apologize for wasting your time thus far. This is the biggest problem for Mr. Trump as I can tell. If he would acknowledge that he has contradicted himself, and that he has done many improper things and has learned from such experiences, then he would be a more palatable option. So, how are we advertising the results? Well, I am going to take my own grandiose leap of illogic now. I am going to hypothesize that while, Breitbart, Washington Post, New York Times, Huffington Post and Politico all declared that Mrs. Clinton was the winner by differentiating margins. While it seems clear to anyone judging this debate on policies feels that Mrs. Clinton won and Mr. Trump lost, I am hoping that this debate opened the eyes of those who lack faith in both candidates so that they now turn to our Libertarian Savior, Gary Johnson. If he obtains an additional 7% of the electorate, he will be eligible to participate in the next debate, and if that occurs, then maybe reason and sanity will prevail in what has been the least Presidential Election Campaign of the last century.